Player for high-end animation files. Is there a better alternative to EnVideo? Is EnVideo really the best app in Video category? Will EnVideo work good on macOS 10.13.4? EnVideo is a video player for high-end animation files. It uses compact evo files, usually created in EnSight. 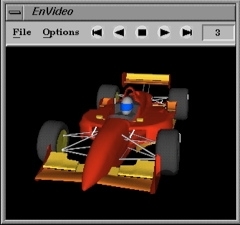 The evo format runs identically well on Mac OS X, Windows, UNIX, and Linux computers. EnVideo evo files are high quality and support stereo playback and tiled display playback and distributed playback. EnVideo needs a review. Be the first to review this app and get the discussion started! EnVideo needs a rating. Be the first to rate this app and get the discussion started!